Anirban Lahiri scored five-under 67 in the second round to be tied-23rd at the World Tour Championships. Anirban Lahiri nailed seven birdies against a sole double bogey for a five-under 67 that brought him back into the USD 8 million DP World Tour Championships here on Friday. 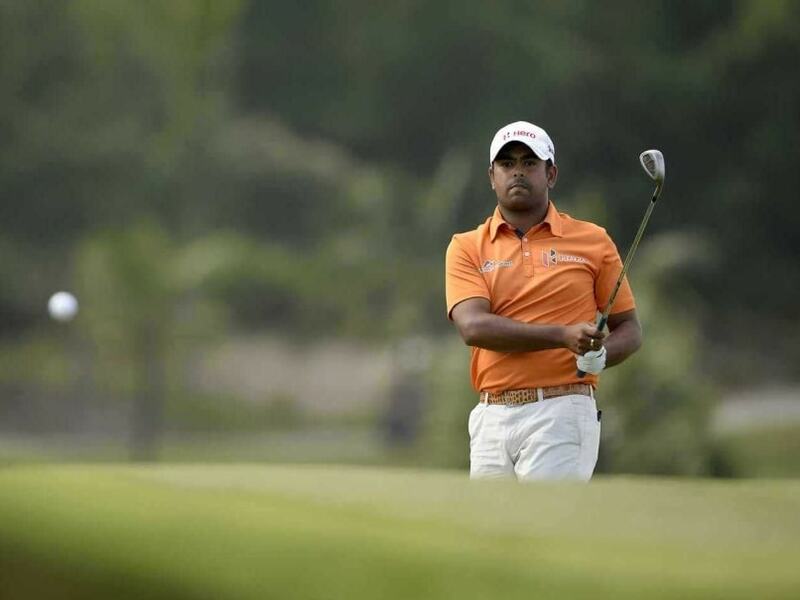 Winner of Malaysian Open and Indian Open this year, the 28-year-old Lahiri is now four-under through 36 holes to be tied-23rd and is primed up to round off a dream year on the European Tour. He improved 23 places on the second day. Lahiri made use of a lot of chances that came his way despite the double on par-4 fifth. But after that mishap, he came back strongly with four birdies in five holes around the turn from seventh to 11th holes. He finished off the day with a birdie on 18th. Already three-time winner this year, Sullivan shot an error-free 66 moving one ahead of Emiliano Grillo of Argentina. Grillo, like Lahiri features on the PGA Tour as a Rookie in 2015-16, but has already won once last month at Frys.com. Today he shot a bogey-free 64, the best round of the day. Early in his round, Lahiri made a couple of good pars and then after a stumble on the fifth, where his chip spun back and led to a double bogey, he played solid with six birdies over last 13 holes. "Even yesterday there was no dent in confidence but it is nice to see results on the board, and I am happy to be in red figures again," said a relaxed Lahiri, who will also be getting a more experienced caddie, his friend, Neeraj, for the weekend. Lahiri's regular caddie Rajiv Sharma was unable to make it because of visa problems and Lahiri played the first two rounds with a local golfer, Rohit Gupta. Lahiri was all praise for him saying, "It's been a lot of fun. Obviously I miss having my regular caddie Rajiv on the bag -- that goes without saying. But having said that, I don't think I'm a very demanding guy on the course and Rohit has been fantastic. "I got into my rhythm today and I played pretty good and could even have been a couple of shots better," he added. "I had a shaky start, but made very good pars on third and fourth. Especially on the third, where I made an up-and-down from an unpleasant position." Then Lahiri in his own words, "got hit by the golf course". Lahiri hit a good sand wedge from just over 100 yards. The ball landed exactly six feet away from the flag but spun back down the slope. The next chip also saw the ball spin back and he made a double bogey. "After the fifth hole debacle, I played solid. I hit to 20 feet on sixth; to eight feet on seventh; to 10 feet on eighth and to five feet on ninth and I missed that. I nearly holed the 10th (on his second shot but still got a birdie). I had a birdie on 11th but missed a 10-footer for birdie on 13th," said Lahiri. Race to Dubai leader, Rory McIlroy put together another battling 68 to get to eight-under and in tied fourth place alongside Thai Thongchai Jaidee (67) and South Charl Schwartzel (65), who has fallen out of top-50 of World Rankings. McIlroy's closest rival for Race to Dubai honours Danny Willett managed only a 70. Asian golfers had a good day as Thongchai Jaidee (67) moved to eight-under 136, while fellow Thai Kiradech Aphinbarnrat (65) was one of the four players to bring home a card of seven-under 65 on a day when conditions were perfect for scoring. American Patrick Reed keen on playing both sides of the Atlantic, birdied five of his last six holes en route to 65 that carried him up to nine-under 135 and into sole third place.